Murderous intentions and civil war looming, can true love survive? Hello, readers! I am only so eager to introduce you to this week’s author. The history buff in me is just thrilled. Author Marie Sontag writes middle grade and YA Historical Fiction. I met her through the ACFW Historical Fiction genre Facebook page. Once again, just another perk of being a member of the ACFW (American Christian Fiction Writers). I highly recommend joining this or another writing group. 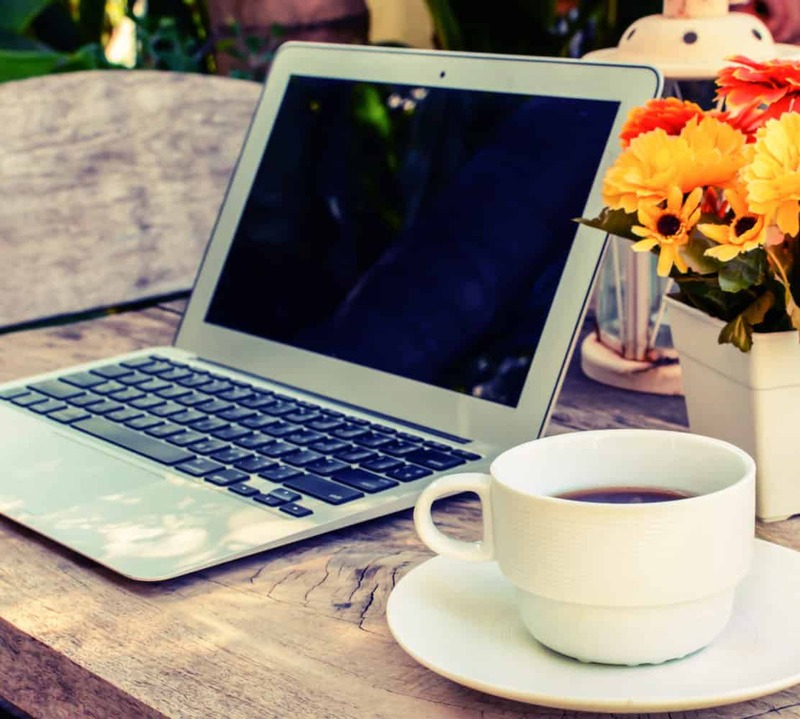 Those of you who have been following the blog for a while may remember that the ACFW holds a large conference every year, they have online classes each month for continuing education, they have accountability sites for pages edited and daily word counts, online critique groups, and so much more! Welcome to the blog, Marie. Thanks for joining us! First, can you tell us a little about your novels. As a former social studies teacher, I love bringing the past to life. My Ancient Elements series for middle grade readers takes them on an adventure with twelve-year-old Sam (Samsuluna), a supposed orphan in ancient Mesopotamia. In book one Sam’s mother dies, so he wants to join a caravan traveling from Babylon to Tyre in order to find his uncle and escape the clutches of his imprisoned father. He ends up getting adopted by a Babylonian healer, but still wants to find his uncle. Before he can get to Tyre, he must solve the mystery of the stolen jewels. Book two takes place in Egypt where King Hammurabi sends his adoptive father to study medicine. 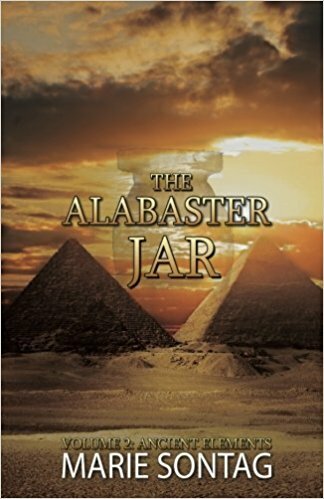 Sam and his friends try to uncover the secret of an alabaster jar in a hidden tomb. In book three, now at the age of fifteen, Sam must escape Mycenaean pirates, an evil king in Crete, and confront his vengeful father when Sam, his uncle, and his father meet up in Tyre (Phoenicia). Will he solve these mysteries? At what cost? Rising Hope, a young adult historical novel, is book one of the Warsaw Rising Trilogy. Book one tells the story of six teens who, through loss, find hope as they fight against the Germans when their Boy Scout and Girl Guides troops join forces with the Polish Underground Army during the 1944 Warsaw Rising. Wow! You have my Historical Fiction heart thumping pretty hard! I am loving it! And I have to ask, especially since this is a subject you teach…would you share some of the more historically significant events behind your stories? In the Ancient Elements series, Sam’s adventures come into conflict with the laws of Hammurabi, king of Babylonia. Sam lied about being an orphan and gets adopted by a famous asu (healer), named Balashi. Sam later learns that Hammurabi’s laws, one of the first codes to be set in stone, demand that a man who steals the son of another must be put to death. Fearing officials will discover he’s not truly an orphan, Sam runs away from his adoptive father in order to protect the asu’s life. In book two, Sam and his adoptive family move to Egypt after Hammurabi sends Balashi there to learn from this medically advanced society. In the process, Sam finds himself in the middle of a plot to overthrow the Pharaoh when Sam and his adoptive sister stumble onto the mystery of a hidden tomb. In book three, Amata falls in love with a Phoenician merchant who wants to help Egyptians overthrow their wicked rulers and reinstall a just Pharaoh. Amata and her friends try to prevent the Hyksos (Canaanite warriors from the Edomite, Amorite, Jebusite, Hittite and Moabite clans) from taking over lower Egypt. Before the fighting in Egypt begins, Sam sails for Phoenicia to find his uncle. On the way, he is captured by Mycenaean pirates, then rescued by princess Ariadné from Crete. Ariadné helps Sam escape from her father, King Minos, by trailing a thread that leads Sam through the maze of their palace at Knossos to a safe exit. From Crete he sails to Cyprus, and finally to Tyre in Phoenicia. While Sam and Amata face their perilous adventures, Sam’s father is released from prison and joins a caravan from Babylon to Tyre. He plans to get revenge on his brother, Zim, and his son, Sam, because he blames them for all his troubles. On the caravan route, he fights desert bandits and learns a little about the Canaanite religious temples and gods, especially their gods Baal and Dagon, and the Phoenician goddess, Astarte. In Rising Hope, the main fictional character and his sister are paired with historical Polish Scouts. The Scouts join forces with the Polish Underground Army in hopes of overthrowing the Germans before the Soviets “liberate” them. These teens attempt this suicidal mission, known as the sixty-three days of the Warsaw Rising, because, as a Christian nation, they don’t want the Allies to give their country to the Communists when the Germans are finally defeated. In the end, the Soviets are allowed to take over the Polish nation, but the Polish people retain a hope that one day they will regain their freedom. Book two and three trace this path of hope through the eyes of the series’ main character and his friends, including historical figures. As spies, they fight against Communism during the Cold War until, in 1989, their hope is finally realized. Once again, Poland becomes a sovereign nation—forty-four years after their Warsaw Rising. That makes me all the more intrigued. You have packed these books with history!! Fascinating! Please, tell us…what was the inspiration for these novels? I was inspired to write the first book of the Ancient Elements series, The Bronze Dagger, when I walked into an antiquities store and saw a bronze dagger hanging in a display case. I wanted to buy the dagger because it was found in ancient Mesopotamia and dated back to around 1800 BC. At the time, my students were studying ancient Mesopotamia, and King Hammurabi who ruled Babylonia around 1790 BC. I thought how inspired my students would be if they could touch and hold the dagger! Since I couldn’t afford to buy it at the time, I asked myself, “If that dagger could talk, what would it say? Who made it? Why did they make it? Then I decided to write a historical fiction book for my students from the possible answers I got to these questions. I had so much fun writing book one that it evolved into a series of three books. Rising Hope was born out of a trip my husband and I took to Warsaw, Poland in 2008. In 1996, we had a sixteen-year-old Polish student live with us for a year. Now, twelve years later, we had an opportunity to visit him in Warsaw, and to meet his family and fiancée. When he took us on a tour of the Warsaw Museum, I learned about the Polish Scouts’ involvement in trying to overthrow the Germans in Poland before the Soviets came in and took over their country. I had never heard of this event and wanted the students I taught back in the United States to learn what teens their age had attempted to accomplish, in spite of the hardships, because they loved freedom and refused to give up without a fight. Inspiration does come from anywhere. You mentioned you were a teacher. Did you always want to be a writer? If not, what did you want to be when you were a child? When I was little, I always had a hard time falling asleep, so I’d make up stories to occupy my mind. As I grew older, I wanted to be a teacher because I loved learning new things, and always grasped them better when I could explain them to someone else. I still loved making up stories, so I began to write them in journals. When I was a Girl Scout, I worked on a creative writing badge and submitted a story to a children’s magazine. It wasn’t accepted, but it whetted my appetite for writing. As an adult, I continued to write and submit while teaching middle school and enjoyed both endeavors. In 2012, I had to retire early from teaching due to a physical disability. That’s when I began the adventure of writing full time! I totally understand the teaching piece. I was a non-traditional (zoo/museum) educator for twenty years in the field of Biology and Chemistry. 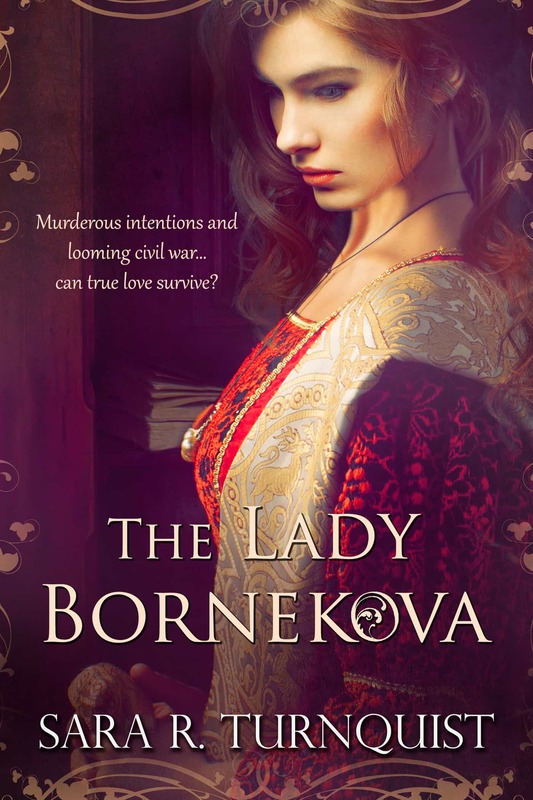 A little bit more of a leap to Historical Fiction/Romance. Now, as much as we love writing and getting those wonderful ideas onto paper, we know it’s not all rainbows and sunshine. There are things we don’t love as much. What part of the writing process do you dread? I dread the marketing phase of the writing process. It’s necessary, but that doesn’t mean I have to like it! You and me both! Whew! Is that a learning process! I am forever the learner…I try never to miss an opportunity. Do you have any suggestions to help me become a better writer? My first tip for becoming a better writer is to read books on writing, such as books on character development, deep point of view, the “Moral Premise”, and plot charting (my favorite is called the “W Plot”), and to do this only when you are writing so you can put what you learn into practice. My second tip is to get involved with other writers who will provide honest and helpful feedback. Great tips! Thanks! I do try to alternate between reading fiction and non-fiction (a writing craft book). I think we also learn intuitively from other writers. And…well, many writers were first avid readers I think. Currently I’m reading Hamilton and Peggy! by L.M. Elliott. Do you have any current projects you’re working on? Care to share? My current work in progress, tentatively titled Yosemite Discovered, will serve as book two of a proposed historical fiction series about two orphans who travel west with their guardian just before the California gold rush. Book one is written for middle-grade readers as they follow the thirteen-year-old fictional main character, Daniel Whitcomb, and his ten-year-old stepsister, Hannah, on their wagon train adventures from Illinois to California with their guardian, Jim Savage a historical figure. While book one is written for middle-grade readers (coming out after book two is completed), the second book, Yosemite Discovered, is written for young adults. Book two follows the now sixteen-year-old Daniel Whitcomb to the goldfields with Jim Savage where Daniel helps his guardian run trading posts as they attempt to repel Indians attacks and placate greedy miners, all-the-while trying to keep peace between the two. When an inevitable Indian war breaks out, Daniel follows Jim into the previously undiscovered Yosemite Valley to rout out marauding Ahwahneechee. Book three will follow the series’ characters into the country’s unfolding drama that culminates in the Civil War. Marie, this has been just deliciously fascinating for me. I LOVE history and these details have been amazing…more so than you can know. I have been so thrilled to have you on the blog and to have you share about your books and your process. But I want my readers to get a chance to check out the books even more and get to those excerpts and the details of the GIVEAWAY (below). Please, readers, enjoy! Samsaluna, a physically handicapped boy on the verge of adolescence, leaves his broken and abusive home in the foothills of the Zagros Mountains in an attempt to find his uncle in the city of Susa, near ancient Babylon. Befriending a young baker’s son and an asu’s daughter, Sam soon finds himself on a journey to the lively city of Babylon. By becoming a healer’s apprentice, Sam not only learns a valued and respected skill—increasing his prospects and status—but also endears himself to the great asu, earning himself a second chance at being part of a family. But when Sam’s past won’t stay behind him and his well-intentioned lies come to light, he risks losing it all. Brokenhearted that he has brought about his own downfall and has been abandoned by his new friends, Sam is forced to come to terms with his deceptions. His newfound understanding of justice, according to the code set forth by the great ruler Hammurabi, and the unyielding compassion shown to him by the asu must come into play before Sam can defeat the demons of his past, right his wrongs, and establish himself as the worthy apprentice and son he always hoped to be. Surrounded by the changing times in ancient Mesopotamia, Sam learns to cope with the past and thrive in the present in this coming-of-age middle grade story. Sam’s brother dove into the cheetah with a dagger, and then stepped back. The wounded cat now turned on Yasmah. In the flickering firelight, Sam only saw the back of the cheetah’s head and Yasmah’s occasional lunges with the knife. Locked in a macabre dance, they tumbled for a few moments. Then it ended. The cheetah lay dead, blood trickling from its neck. Sam hurried over to Yasmah. Blood oozed from a gash in his brother’s side. The red blotches on Yasmah’s tattered tunic showed where the cat’s claws had ripped into the flesh of his brother’s arms and chest. Yasmah’s breathing came hard and fast. . .
Sam held up the lamp and studied the room’s walls. Hieroglyphs of prayers, painted pictures of the gods, and elaborate stone torch sconces adorned the area. There has to be more to this tomb. But what? Why were men sneaking in and out of it? The Mycenaean captain laughed and addressed his prisoners. “By the time people realize you’re missing, you’ll all be slaves of Greek merchants or landowners. And I’ll be that much richer!” Sam swallowed hard. Now I’ll never find Uncle Zim. And who will want to buy a crippled slave? Numbness overtook him as he saw his hopes, like the sail of the Phoenician ship, go up in flames. Rising Hope tells the story of six teens that, through loss, find hope as they fight against the Germans when their Scout troops join forces with the Underground Army during the 1944 Warsaw Rising. Looking back, eighteen-year-old Tadzio realized that it all began when his father walked out on him September 8, 1939. That same day, his Scoutmaster challenged Tadzio and his friends to give their all for Poland. At first, thirteen-year-old Tadzio said no. Now, five years later, the Germans still occupied Poland. But at least Tadzio rose to the challenge. And he still had hope. This is how it began. Krzysh nodded. “Good idea.” Krzysh began to paint the letter P on the side of a building. Suddenly Benyameen jumped in front of Krzysh. “I have an idea.” Benyameen connected a W to Krzysh’s P by making the downward stroke of the P form the W’s middle, upward stroke. Marie Sontag loves to bring history to life through historical fiction. With a BA in social science and an MA and Ph.D. in education, she says teaching middle school for over 15 years has kept her young. 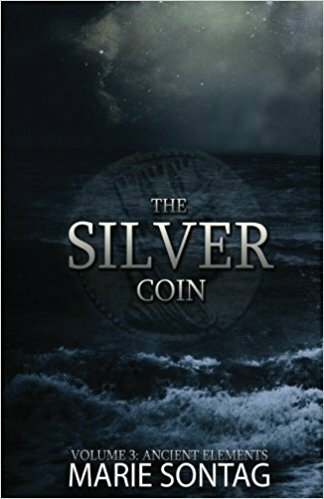 Her middle grade series, Ancient Elements, takes place in Ancient Mesopotamia: The Bronze Dagger, The Alabaster Jar, and The Silver Coin. When on author visits, Dr. Sontag is always accompanied by her authenticated 3,500-year-old bronze dagger and alabaster jar, as well as her 2,300-year-old Phoenician coin. 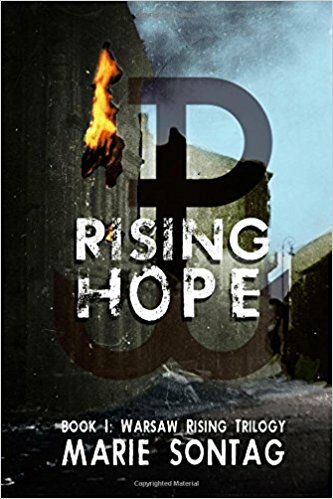 Her YA historical fiction book, Rising Hope, uses both fictional and historical characters to place readers alongside some of the Polish Boy Scouts and Girl Guides that helped the Polish Underground fight the Germans during WWII. 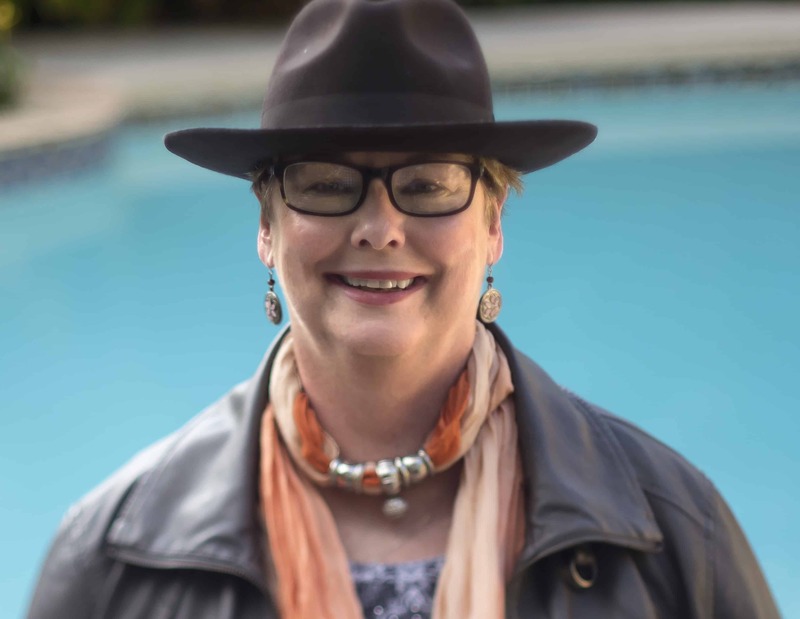 Born in Milwaukee, WI and having lived FOREVER in San Jose, CA, Dr. Sontag currently makes her home North Richland Hills, TX where her favorite pastime is playing trains with her grandson. Marie Sontag will be giving away one copy of The Bronze Dagger and one copy of Rising Hope. Please follow the instructions in the Rafflecopter below to enter. And please note there are two prizes, so use the arrows to move to the next prize. My favorite historical period is the 1800’s through WW2. I seemed to have missed your comment, Vivian! So sorry! I love the mid-to-late-1800s! It is a fascinating time to read and write in! 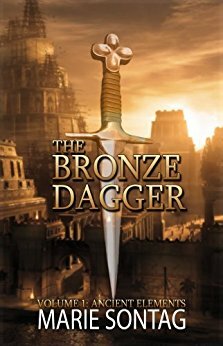 Congrats to Tristan F on winning a copy of “The Bronze Dagger” and to Vivian F for winning a copy of “Rising Hope”!